Microwave popcorn - for a promotion that pops! A tasty giveaway that is sure to leave a lasting impression! 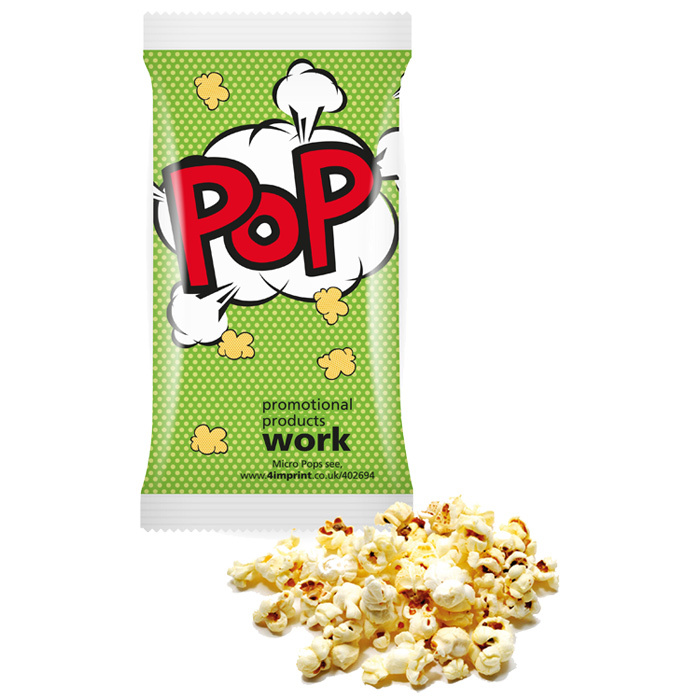 We'll add your branding to the outer wrapper of these tasty microwave pop corn bags to create a truly incredible look! Inside there's a microwavable bag containing 100g of delicious sweet popcorn; cooking instructions are printed on the inner bag. Ideal for mailing, perfect for giving out at events. Price includes a full colour print to the wrapper (base colour is white), ingredients will be printed on the back too. Print area: 195 x 196mm (including ingredients).